Whether we like it or not, this will put more seats on the movie theaters which is at the end the main purpose of making a film. I just came from a blog where they just posted this picture and they're all ecstatic, did i say ecstatic? euphoric! with how these dwarfs are looking. All the Being Human fans are already sold out for the Hobbit. Kili and Fili would be considered ugly by dwarven standards? And Oin and Gloin are the hunks? Who knows? All that matters to me is that the actors personify the dwarven race through their acting abilities. My thoughts go back to PJ's choice of 3-D. It gave a clear signal that he intended to go in a new direction. I would say that it is not what I expected but it could still turn out well in the end. 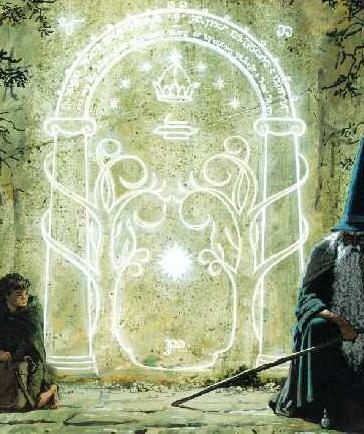 If The Hildebrandt Brothers, Alan Lee, and Cor Blok can all illustrate Tolkien then I can live with GQ Dwarves. Kili and Fili have beards XD Why people say they haven�t. So, it is not my worry the look of the dwarves, or other characters. Still waiting for Thorin cuz he is my favorite. But their photo was released to markedly better reception than this one. I don't want them to be thirteen Gimlis any more than you do, but I do want them to look like they're actually Dwarves. Judging by this picture, Kili does not quite fulfil that basic requirement. ...it's rather that they shouldn't be handsome in this kind of squeaky clean Holllywood pretty boy manner. He looks like a dwarf without being "ugly", if anything he looks noble and dignified. The last thing he resembles is a model out of a fashion magazine (unfortunately the same cannot be said for Kili). And then when we have the pics of all the dwarves, we can better make assumptions. ...between "ugly" and "not handsome." Apart from saying that dwarves are shorter than men and stockier than hobbits (which Kili admittedly isn't), Tolkien really doesn't define a "dwarvish" look. So I don't see how anyone can say definitively what they do or do not look like. I really don't know if the fans were what ultimately caused PJ to reconsider, but at this point, it hardly matters: you can delete a XenArwen sequence, but you can't reshoot every single scene that features Kili. So unless they figure out some way to go back and digitally Dwarfanise him, we're stuck with the hunk. ...that the "XenArwen" persona was eliminated before the fans ever knew anything about it. Notice though, that they manage the handsome look even while he is very bearded. That's something that little irks me here. I understand they wanted to let Kili be handsome, but it wasn't necessary to make him pretty and shiny. Bearded men can look very good too. As a metal fan I should know this. It's him being a wrong kind of handsome. Fili looks pretty agreeable to me too, but he still keeps that Dwarven look. Tolkien isn't very keen on describing his characters in minute detail (do the Elves have pointy ears, anyone?) but he does make it clear that Dwarves are short, strongly built and have beards. He doesn't say they're ugly. Now, this Kili here is tall, slim and pretty unbearded. That's the problem, not his handsome face. It has nothing to do with knitting. What it does have to do with is a number of women getting hot and bothered over a Dwarf! Yes, a Dwarf! That in itself should tell you something is not right... Dwarves are short and stout, with heavy features. I think it's safe to say that when you have a Dwarf women are swooning over, and has nicer hair than Arwen, something has gone off the tracks somewhere . but,,, they shouldn't be handsome. At least I dont think they should imho. They were not part of Iluvitar's plan for the earth. It has been a while since I read the story, so I can't go into it, other than to say, they weren't meant to be. They were created by an eager Valar who didn't have the skill to create a new race, hence their short stature and, in my opinion at least, their physical shortcomings relating to beauty. Anyway, it's just my opinion. Dwarves aren't "imperfect". There's no mention of them being any worse than Elves or Men in any kind. And they're Children of Il�vatar too, because Eru adopted them. 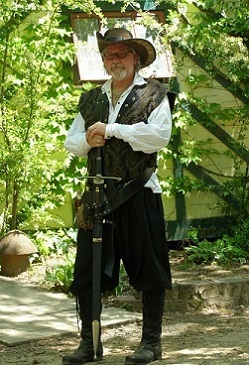 They're short in stature, and strongly built to be able to survive the dangers of Arda Marred. That's the reason for their distinctive looks: that they would be strong, and because Aul� wasn't quite sure how the Children are *exactly* going to look like. Saying they're ugly because they're imperfect is like saying they're ugly like Orcs are ugly for their fall of grace. In M-E, being �vanima and losing your beauty is connected to moral decay, and linking Dwarves to this is pretty insulting to us Dwarf-friends. Sorry if I heated up, I don't mean to be mean. I'm just passionate about this stuff. Although I'm a little surprised at the look of Kili, it is nothing to make me stay out of theaters, cursing PJ all the way. The attitudes they project from this one picture seem right for a couple of young dudes out to take back the ancestral home, etc. They look cocky, proud, sure of their skill, and if they are also easy on the eyes from a human female point of view, I can live with that. Although, to be strictly accurate, Eru made it all--even Morgoth and the Balrogs. And they wouldn't win any beauty contests. They're miners, craftsmen, warriors, hardy and resilient folk. That already imposes certain traits on their appearance. People who lead hard lives (even young people) never looked well groomed and smooth faced the way young good looking actors and models do. And moreover, dwarves specifically embody the archetype of old age and its qualities, wisdom, stalwartness, irascibility. They're kin to Rocks and Mountains, the oldest elements in the world. They don't have beards for nothing. So even younger dwarves have to reflect that in their appearance in some way. These are the defining characteristics of the whole race. Of course it all depends on your decision of "handsome", and if it includes "dignified, noble and distinguished looking" than yes, dwarves can be handsome, if however it means Robert Pattinson from Twilight, than they most definitely aren't. 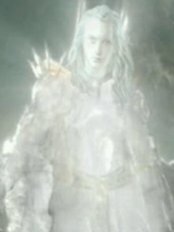 Morgoth and the fire spirits were beautiful too in their original form. Only their moral fall from grace made them incabable of taking fair form. Eru didn't make them ugly. In an ensemble of 13 lumpy dwarves I'm happy to "take the hit" as it were and have one good-looking one. 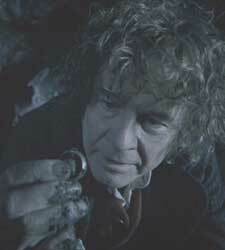 Besides, has Tolkien ever described what a very young dwarf looks like? If you look at Fili he looks the least dwarven of the others (excluding Kili) but still maintains a handsome look and can still pass for a dwarf and I find him completely believable as one of the youngest dwarves. I would find Kili just as believable had they done something similar but the thing is that Aidan has too fair of a face. He has a much more "GQ" look than O'Gorman. Maybe this is how he starts the journey and throughout the film his beard gets longer. I HOPE that happens.